VIPER® 4+ - Meet Viper® 4+, the powerful new fourth generation Viper field computer. 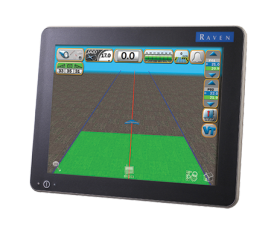 Powered by the innovative Raven Operating Software, Viper 4+ provides a simple, connected precision ag platform. 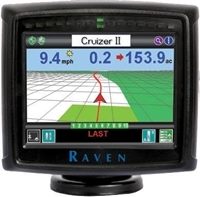 The Raven Cruizer II™ gives you all the benefits of an easy-to-use precision guidance system. It features more power and capability, and you can add auto-steering, yield monitoring and automatic on-off planter and boom section controls to your system when you’re ready. With RTK capability added to the Cruizer II™ guidance system, high, sub-inch positioning accuracy becomes available. This product also ties into the Slingshot® system, adding more precision to an excellent system.